In the past few weeks, Nikon and Canon have released their new mirrorless offerings, the Z7 and R, to much fanfare. Despite the great specs and form factor, I won't buy either for one simple reason: neither one has dual card slots. 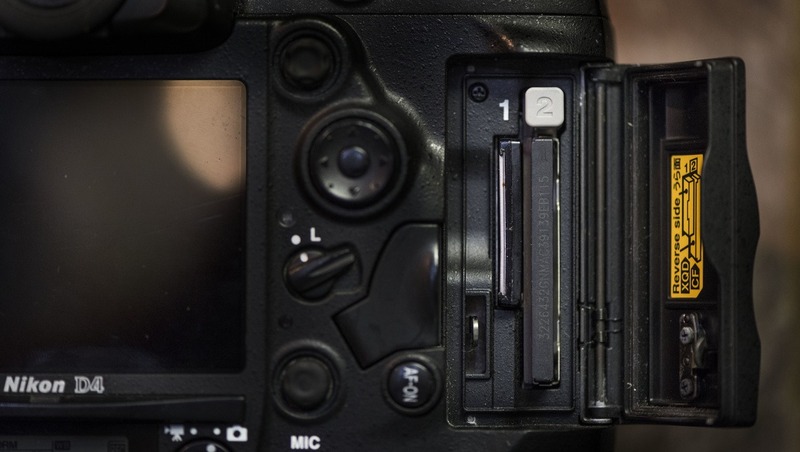 I never shoot anything without dual card slots, and neither should you. When shooting for clients, shooting for myself, or just casually taking a few pictures of my kids, I always shoot with two camera card slots. I am fanatic about not losing any files, be it for clients or just myself. If it is worth shooting, it is worth protecting those files. In the time between starting this article and finishing it, I had two photoshoots. In the second one, a compact flash card actually corrupted and was not recoverable. 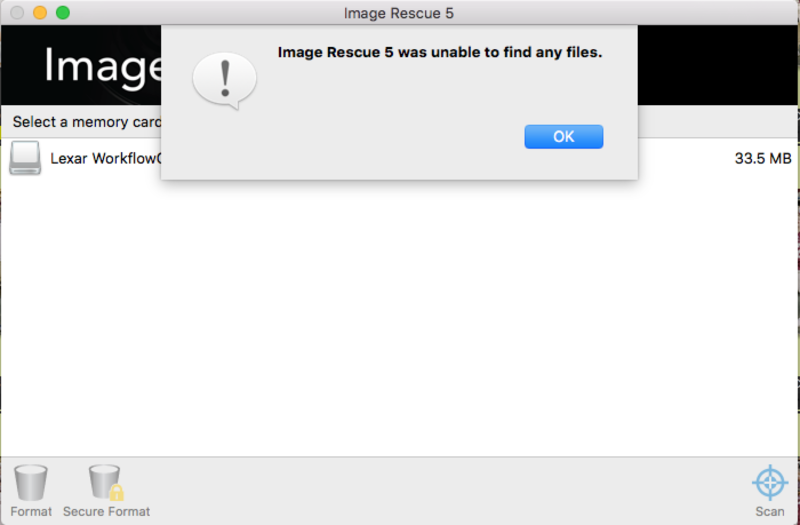 I tried several different software solutions, but all of them failed to recover the images on the card. Even though that card corrupted during the shoot, I didn't lose a single file because I shot everything to two memory cards. I wouldn't have even tried to recover the files if I was not in the middle of writing this article because every image was safely on my other card. My clients pay me to deliver, and I sure couldn't ask them to redo a wedding because the kiss didn't save to my memory card correctly. Constant improvement by card manufacturers have led to fewer card failures, but they still happen. I'm not exactly smart enough to explain how flash cards work or what makes them fail, but I do know someone who is smart enough to understand them. Jeff Wischkaemper is a research professor in the Department of Electrical and Computer Engineering at Texas A&M University. Dr. Wischkaemper also happens to be a talented amateur photographer, so he understands the importance of memory cards to photographers. "We used CF cards in an industrial product for over a decade. This was not a photographic application, but the primary function of the of the cards was to store files of similar size and composition to images. The CF cards were, without question, the weakest part of the system. Virtually all cards experienced some data corruption after years of use - many of them experienced complete corruption of the entire card, to the extent that no data could be read or written," Dr. Wischkaemper said. I am all about minimizing risk and there are several ways you can do that. 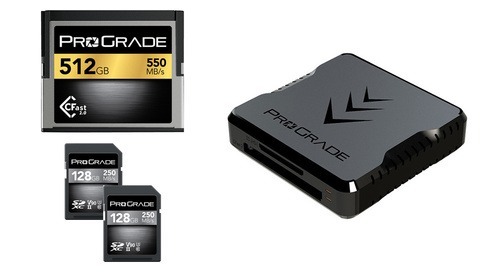 You can minimize risk by buying good memory cards from authorized retailers. I have less failures in my Lexars and Sandisks bought from an authorized retailer such as B&H than I have had with other brands bought in other places. I don't even want to know how many counterfeit memory cards I have used over the years because I didn't buy exclusively from authorized retailers. 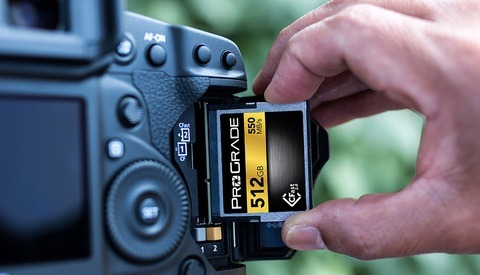 Another way you can minimize risk is changing out memory cards before they fail. As Dr. Wischkaemper said, eventually they all cards he used suffered some corruption or data loss. Replace the cards before they corrupt. Sell them or keep them as emergency backup. You can also do what I do and have a bowl of old cards on a shelf for no particular reason other than I might one day use that 1GIG 80x card from 2005. In addition to both those ways, you should always shoot dual card slots. I only use new cards purchased from authorized retailers and I change them out regularly. But cards can still corrupt at any given moment, so every time I take a picture, it is written to card slot A and card slot B.
I choose to use raw to card A and JPEG card slot B for a couple reasons, but the main reason is when I shot Canon, I noticed that sometimes the raw file would corrupt when I was hitting the buffer, which was often on the horrible buffer and slow write speeds of the 5D Mark III. But while the raw file would be corrupted, the JPEG file on the other card slot would be unaffected and could be edited normally. More likely than a card corruption problem, though, is human error. I've heard countless stories of camera bags being stolen, memory cards falling out of pockets, or photographers thinking they backed up the card, then shooting over it without getting all the files. A lot of photographers suggest using smaller cards and changing them out more frequently. Delkin recently announced three new XQD cards and the smallest size was 64GB. At the time of writing this, B&H didn't offer any XQD memory cards smaller than the Sony 32GB. XQD is the only card format in the new Nikon Z7. I actually think shooting with smaller cards and switching them out will make you more prone to lose images, because I think the more likely event is human error than card corruption. Large cards are all I use — large enough where I do not need to switch out cards during a shoot. I know cards aren't going to fall out of my camera and because I use two cards, I know that me losing my cards is much more likely than both cards being corrupted and unable to recover any files. My cards are only formatted at home, placed in my camera, and only come out when it is time to ingest. Never will I format a card during a shoot. When you have formatted cards for years, it becomes a habit you can do without thinking and so if you never format during a shoot, you will never format the wrong card out of habit. After a shoot, my used primary cards go into a Think Tank Pixel Pocket Rocket and that stays tethered to me. My secondary cards stay in the cameras. If someone steals all my gear after a shoot, I still have the primary images. I am really excited to see what my friends, colleagues, and sworn enemies do with these new Nikon and Canon mirrorless cameras. With the great EVF and cool new features, I think we are going to see a lot of great stuff that had not been done with DSLRs. But you won't see it from me. I won't take the risk. I may fall behind the times on this new technology but the risk of losing irreplaceable images for a client is going to be substantially lower. For years, photographers shot single images on single frames of film. If you ruined the film by not properly rewinding it or in the development process, it was gone and there was nothing you could do. Luckily, times have changed and technology has advanced. I'll bet you Robert Capa wishes he had a second copy of all the images he shot as he landed with Company E on Omaha Beach for the first wave of attacks on D-Day. Of 106 frames Capa took on D-Day, only 8 were salvaged after the darkroom assistant turned on too much heat while drying the film. If I lost 94% of my clients files from a wedding or portrait shoot, I doubt they would be comforted much to know that Robert Capa's film was melted almost 75 years ago so no big deal. It happens, right? It doesn't have to happen. We have the technology to do better and our clients deserve better than for us to risk their files with one card slot when there is an option for two. Thomas Campbell is a sports and marketing photographer based in Houston, Texas. When not using his Nikons, he enjoys spending time with his family, working on cars, and cheering on the Aggies. Spot on. If you have the option, use it. In my ten years of shooting I’ve had three corrupted cards, two were unrecoverable and the third I had a body with dual slots so I had JPEGs of all the files. We should take advantage of modern technology to cover our asses in photography, just like we do driving, or with computers, or with health insurance, etc. This is the weirdest conversation. I have never had a card failure. But I choose to use cameras that have two card slots. It just makes sense. Everything can fail. Hell I could go blind during a shoot. If I had a backup for that I'd use it. There is no argument against using two cards. My camera has two slots, I shoot RAW with a backup no matter what I'm shooting. Why? Because I can. I have just spent the past two weeks working with the Nikon Z7, and I would be very confident using it with the new XQD card for an assignment. If it was using an SD card though... then no... I would not want to be using that camera. The difference is though, the XQD is a new media that is designed for professional image makers... the SD format is a twenty year old system that is nowhere near as robust or reliable. Agree on the XQD card. I've been using them since 2013 when I bought a pair of Nikon D4 bodies (pictured in the article) and have yet to have a single corrupted image on an XQD card (knock on wood). I am glad the XQD format was adopted. They are great cards. Sorry Canon 1DXII owners that bought CFast. Your cards will soon belong in a museum. For paying clients? Probably a good idea. For personal stuff? Not so much. I have found that if I always shoot things in the same way, there are less opportunities for me to make mistakes. If I'm taking pics of my kids at the park, in the shade of trees with soft natural light and don't plan to use the pics for anything more than an Instagram post or Facebook cover, I could shoot it small JPG and be fine. But I sure don't want to forget that I switched it to sJPG when I go shoot something professionally. So I always shoot everything the same way and I know I won't mess up my settings because I forgot to go in menus and set up the backup settings. I don’t think it worth NOT buying a camera that is lacking two slots, but if a camera has them, use them for sure. So what does Dr. Wischkaemper or you use a rule of thumb for changing cards regularly? Is that some arbitrary length or time or is it measured in terms of actual use (e.g., number of writes), number of times card was removed/inserted into a camera, etc.? I can't speak for Dr. W, but I think most of the time is the number of writes on a card. However, I can't seem to find any data from manufacturers on data corruption, so I don't know if there are any good rules to follow. I know people that buy all new cards every year or replace half their cards every year. I know he means. I used to put two rolls of film in my F2. I'm just a hobby photographer, so I probably haven't shot as many photos as a professional would do. But still. In the 15 years I have been shooting digital I have never experienced a card failure - or just as important never heard of any other of my photographer friends having lost photos due to card failure. I currently have a dual slot camera (7D Mk II), but second slot has a WiFi card without storage capabilities. To me, this sounds like lot of hysteria. It's true. One person's personal experience always invalidates the experience of the masses. Always. Memory card failures are a complete myth. Don't believe the hype! just missing an advise how to put two rols of film to my 135 or 120 film cameras.... I can understand that some folding 6x9 vetrarans from 1930’s may be missing this feaure, but newer ones like P-six, Ikonta, Canon QL17, Mam RB67 should be equiped with such feature, right? So looks like I need to go back to user manual to figure it out. But if they are mossing it, shpuld I stop using them and sell them out, and look for another film camera woth dual film feature? Oh boy, I shoot my D700s for some years with one slot. I wonder how I could survive... And to be honest, I shoot my D5s today with two cards but the 2nd is mostly for overflow. I never ever had any error with XQD (D4, D4s, D5). And yes, I'm taking care of my cards. After backing them up to my MacBook and harddrive I always format my cards after I also backed up the harddrive to raid on my Mac. I still have no fear to shoot with one card only. I have 4 cameras and use 2 cards/slots in each one. I use 2 of the cameras while my clone walks next to me with the other 2. Never shot with dual cards. Probably never will. I find having a backup body more critical. With this logic, better have two wives just in cast one has a bad day at the office or out of town visiting friends and relatives for a couple of weeks. Who is going to cook the dinner? Jokes aside, I have had a few disasters but not as a result of working with one single memory card slot. Let's be honest here. Even if everything is true, there is nothing to say we will not have a road traffic accident on our way home after a shot. What are we going to do then, travel in two cars just in case something terrible happens? Been shooting Canon 5D MK III with a single 32GB SD card for the past 4 years without a SINGLE hiccup. I've heard countless stories about compact card failures so perhaps it's the tech in use? You can get what you want from a company if you don't buy crap from them. I'll never buy a camera without redundancy. If stays on the shelves they'll update faster. While I understand that the online community is all abuzz regarding card slots, I think this article would have been better suited if it really expanded the topic (which it did a little), and had a different headline. - archiving edited work onsite and offsite. Even stating the above, I don't do this for all my shooting, however, when I use a single camera, or a single card, I am aware of the risk, and I accept it. I'll definitely have more articles on risk mitigation in the future. I would have loved to flesh out my entire workflow, but I'm not sure too many people would read my 20,000 word diatribe on photography risk mitigation and best backup practices. I have shoot more than 2M pictures in my Timelapses. And only one time I get problem with the SD card. I believe that the possibility to have fatal error to my card is about 1/10000 so I take my risks. With years of working as a photographer, 95% of the time I just shot with a single card, event if the camera allows me to have two. And within those years, I only had 3 failed, 2 SD cards and 1 CF (probably broke down due to me not caring for it like a baby). I know it's reckless to shoot without redundancy, and I know I should. But sometimes, due the nature of my work, I couldn't care less and just want to get over it. 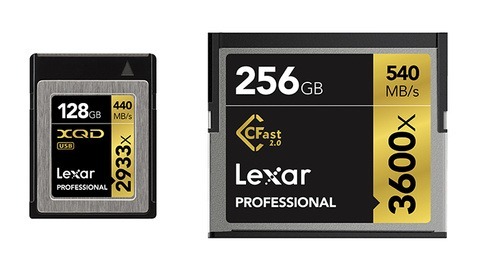 Seriously, I have a D750 and one 128GB card failed on me on a wedding two weeks ago. Thank GOD, THANK GOD for backup! Second time in 5 years. You ridicule things like this until it happens. Just my two cents. I am a keen amateur, and having dual card slots doesn't worry me unduly, though I do prefer to have them as I like to save RAW to one and JPEGs to the other. I have been shooting digital for 14 years and never had a card fail, but were I asking money for my photographs, I would want two slots, without doubt. No one made a great fuss about the Canon 6D or the Nikon Df having only one slot, as they were regarded more as "enthusiast" cameras than professional tools (though that does not stop them being used professionally, of course). I think people like me are the primary target market for the Nikon and Canon mirrorless offerings. Nikon says they included only one slot to make the camera as small as possible. I don't buy this for a moment. I suspect they want professionals to continue to use their DSLRs for the present, as it is a proven and reliable technology, while they build up expertise in making full frame mirrorless cameras. I am confident that when the big two bring out their "professional" mirrorless models they will have two card slots built in.